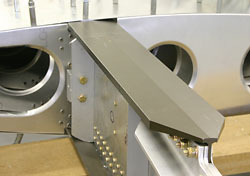 The Sonex uses a proprietary "T" extrusion for the caps of the main spar I-beam structure. 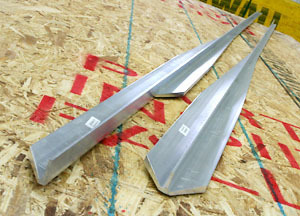 Sonex Spar Caps are 6061-T6 aluminum extruded and CNC machined to final size and shape. Sonex Spar Caps are too long to ship via UPS and must ship via motor freight. For shipping details, view our Shipping Policy.